In the market for a new Honda? 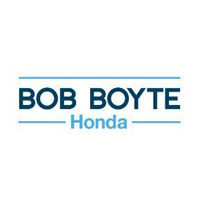 Be sure that you’re getting the best deal possible and rely on the new vehicle specials at Bob Boyte Honda. Contact us today to learn more about our inventory, or simply visit our dealership near Madison to view our discounted Honda in Brandon – you won’t be disappointed. After you’ve explored our new vehicle specials online, it’s time to visit Bob Boyte Honda in Brandon for a test drive. Our friendly and experienced team is standing by, ready to answer any questions as they walk you through the car-buying process and find the new Honda that’s perfect for you. Feel free to apply for financing in advance or estimate your monthly payments with our auto finance calculator !